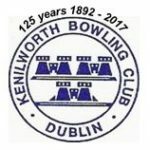 Kenilworth Bowling Club, off Leinster Road in Rathmines, Dublin, established in 1892, is a welcoming Bowling Club for all ages and abilities. As well as a beautiful tranquil location we enjoy the use of both a grass and a carpet green so bowling is available throughout the year. And after a companionable game, there is a comfortable clubhouse with a well stocked bar to relax in and enjoy the conversation.